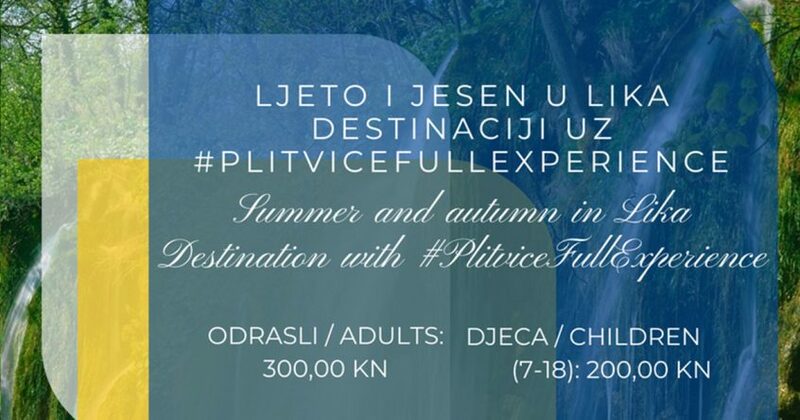 until 31st of October feel real #PlitviceFullExperience: Summer and autumn in Lika Destination, where you can visit 3 national parks, nature park, caves, a cave park, a memorial center and a center for fish and crawfish in period form 15th of June until 30th of June for 300,00 kunas (adults) and 200,00 kunas (children 7-18). You can purchase your voucher package for all areas in the Plitvice Lakes National Park at the entrance 1, the entrance 2, and the auxiliary entrance Flora. Going to the viewpoint, view of the Gacka valley and taking photographs with panoramic valley behind.